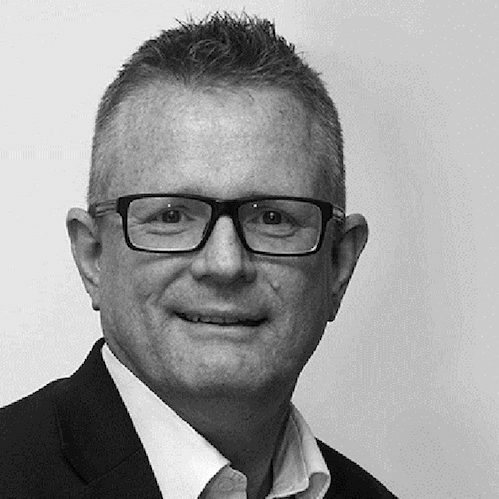 Tony is a business leader with a strong background in Finance, Business Management and People Development at Ingram Micro, the words largest IT Distributor, where he has held a number of Senior Management positions in the UK and overseas. As a qualified CIMA Accountant Tony’s current role is that of the Ingram Micro UK Finance Director where he is accountable for all aspects of finance. This includes Mergers & Acquisitions, Commercial Decision Taking, Strategic Planning & Budgeting, Adherence to US Corporate policies, Working Capital Management and Specific Finance Projects. He is also Black Belt qualified in Six Sigma. In 2017 Tony was recognised in his field when he was selected as a winner of Finance Monthly Magazine’s CFO Awards. In awarding Tony this accolade the magazine acknowledged his influential leadership beyond that of the traditional FD; as an ambassador for the UK Alzheimer’s Society, delivery of motivational keynote presentations, social influencer status and his drive to pass on his knowledge and experience through the Fastforward15 women in business mentoring program. As a Commercially minded FD Tony’s approach to this role is influenced by his non-conventional background. As a teenager he competed for the country in the Long Jump and then attained a BA Joint Honours degree in Music and Sports Science. Over the last +10 years he has established himself as an ambassador for The Alzheimer’s Society raising more than £100k in funds for the cause, by a series of madcap challenges which have included cycling Land’s End to John O-Groats, Kayaking the length of the Thames and back to back Paris and London marathons with a cycle in between. The awareness raising peaked in 2015 when on April 25th, as he was preparing to leave Mount Everest the worlds’ highest Mountain, Nepal was hit by a magnitude 7.8 Earthquake. In 2018 Tony will be returning to the high altitude mountains when he attempts to climb the highest mountain in Europe, Mount Elbrus in Russia. He will be raising funds for both The Alzheimer’s Society and The Willen Hospice based in Milton Keynes.